Peru, situated between Chile and Ecuador‏‎ and bordering the South Pacific Ocean, is a developing country with a poverty level around 45% and widespread underemployment. However, there is a growing demand for English which bodes well for TEFL opportunities there. Its geography varies from the arid plains of the Pacific coast to the peaks of the Andes and the tropical forests of the Amazon Basin. Peru counts 29 million inhabitants. The population is multiethnic. The official language is Spanish but many Peruvians speak also Quechua, which has been recognized as official language. As with many developing countries work opportunities for English teachers are on the up though the overall EFL‏‎ market in Peru is still relatively small if compared to its neighboring countries. In 2014, however, new university proposals mean that graduates must be fluent in a second language and there is a growing demand for English in this regard. Finding employment in advance of arrival is quite difficult unless you have existing connections. Once you are there you’ll find many English language schools. Big chain franchises and small independent schools can be found in the capital city Lima but also in Cusco, the historic capital of the Inca Empire and today one of the most vibrant cities in South America. Other good places where to look for work are Piura, Chiclayo, Trujillo, and Arequipa. Employment opportunities for North American teachers in particular exist in the nine centers of the Instituto Cultural Peruano Norteamericano present in the country. There are also many ESL teachers working in private language schools, in universities and in State Secondary schools. Courses offered usually cover the main 3 levels: Basic – Intermediate – Advanced English, and include test preparation for the TOEFL, IELTS, Michigan, and Cambridge exams. On site Business English courses are also popular. Having said this, opportunities exist for both qualified and non-qualified teachers of English, and casual teaching can be picked up easily. If you don’t have all the qualifications above you can often still find work albeit at less prestigious schools. With a degree and good qualifications you’ll possibly be able to find work in a university also. Some schools state a minimum age of 21. The school year goes from March/April until November/December. International schools and schools may start looking for teachers as early as September or October. Universities may wait until the beginning of the year (January or February) to start hiring. Many institutes hire all year-round. The average salary for a certified teacher in a private school in Peru is between $350 USD (€277, £223) to $850 USD (€673, £541) per month however this depends on qualifications and experience. In the State school system salaries are lower. In the capital Lima salaries are relatively higher. If you are qualified and have substantial experience you can make a good earning by teaching at an international school. It is common – although by no means ubiquitous – for a teacher to be asked to work split shifts. This means you teaching a few hours in the morning then taking a long break in the afternoon to resume teaching in the late afternoon/evening for another few hours, often till late. This is especially common in private language schools which tend to cater for older students who are often working and attending school in their free time. If you are British, Irish (or other EU‎ national), Canadian, American or Australian and want to work and live in Peru you can enter Peru on either a tourist visa or a business visa. Tourist visas can be picked up at the airport upon arrival in Peru or at Peruvian border crossings. This means there is no need to apply for a tourist via before hand when traveling as tourists to Peru. These visas are given for a minimum of 30 days and a maximum of 90 days. The length of your stay as tourist will depend on the immigration officer you find upon arrival. Some are more generous than others. In any case it is always worth requesting a full 90 days to start with but be prepared to be allowed in for less time. With your 90 days tourist visa you basically have 3 months to find work. Once you have found it you can apply for a workers visa from the Peruvian General Directorate of Immigration and Naturalization. 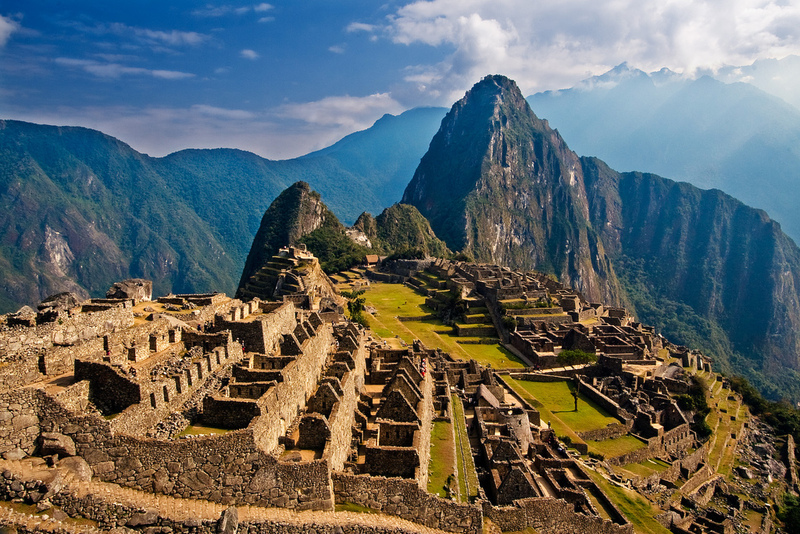 Although not recommended, many EFL teachers work in Peru on a tourist visa. Business visa holders can remain in Peru for up to 90 days. The requirements for obtaining business visas depend on the country you are traveling from so you should contact the Peruvian embassy in your country for details. Again, once in Peru you can apply for a workers visa from the Peruvian General Directorate of Immigration and Naturalization.